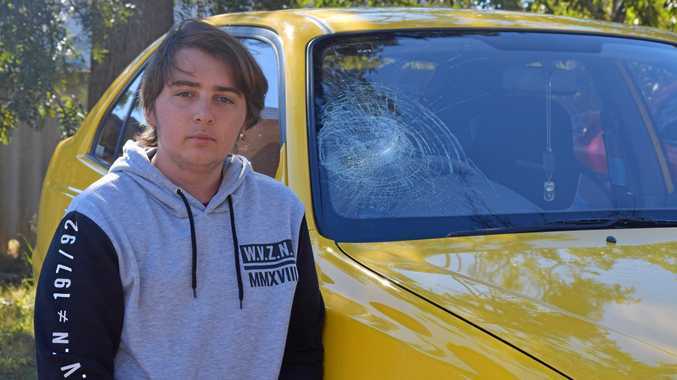 A WARWICK teenager was punched repeatedly in the head and had his windscreen smashed in a shocking road rage attack. Brett Lister-Petersen was driving on Yangan Rd, behind a white ute, around 5.30pm Thursday before the terrifying confrontation. Mr Lister-Petersen said the driver slowed to 60km/hr in the 100km/hr zone, then sped up again before slowing down and slamming to a stop. A passenger jumped from the vehicle and accused Mr Lister-Petersen of tailgating. He said could not believe it when the man opened his car door. "He grabbed my shirt and started punching me on the right side of my head," he said. "I don't know how many times he hit me, it was a lot." The man then shut the door and kicked it, before punching and smashing the windscreen. 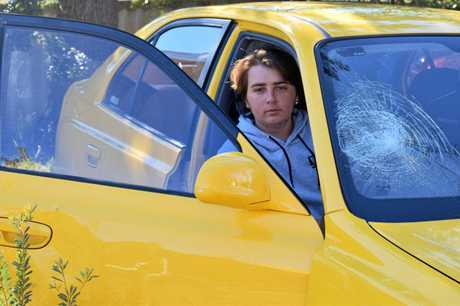 Mr Lister-Petersen said the driver, who was still in the ute, reversed and smashed the front of the 18-year-old's car. The pair then sped away, leaving their victim bruised and shaken on the roadside. Mr Lister-Peterson said he had never experienced anything like it. "You expect someone, if they think you're riding up their a---, you beep the horn or yell but not bring you to a complete stop to do that," he said. "I have never locked the (car) doors because I never thought something like that would happen, especially in a town like Warwick." 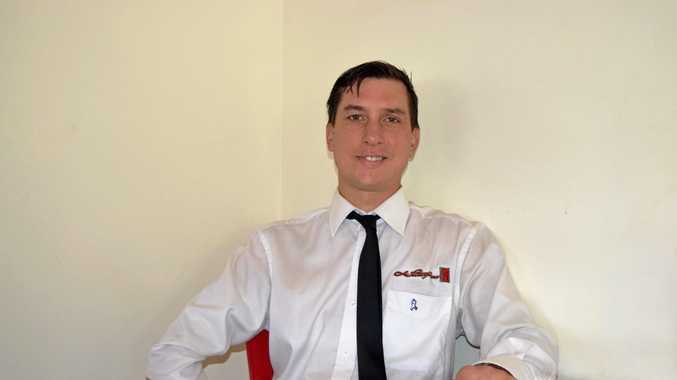 Paramedics took Mr Lister-Petersen to hospital and he was released a short time later. Anyone with information is encouraged to phone Crime Stoppers on 1300333000.